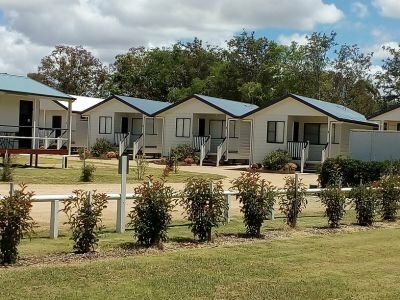 Wondai Accommodation Units and Villas are set on 10 acres of land. 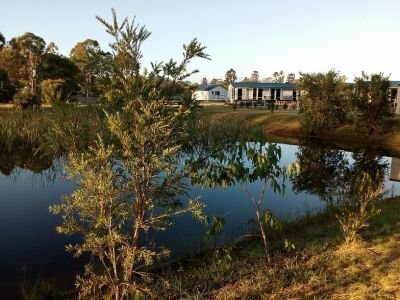 Guests can enjoy relaxing on the banks of the dam and enjoy the birdlife, fish, and fauna. Adjoining the BBQ area is a large swimming pool with an Island Bar. There are lovely gardens in front of units and one can find peacefulness in the surroundings away from traffic yet only 600 metre stroll to shops. Overnight accommodation to suit individuals, workers and large families. Full cooking facilities in self contained Villas. Modern short term, Budget Accommodation. 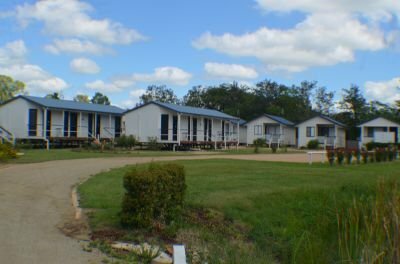 The Accommodation is well suited for Tour Bus, Sporting Groups, Family Reunions and Wedding Parties.